Every time a warning message pops up on your PC, laser-printer, copiers of MFP letting you know that your printer’s toner is low, you have a laser toner chip to thank. These chips, also called printer or smart chips, are used by printing-devices to monitor the reserves and levels of your current toner cartridge. They communicate with your to provide warnings when certain levels are reached or if any other issue arises. 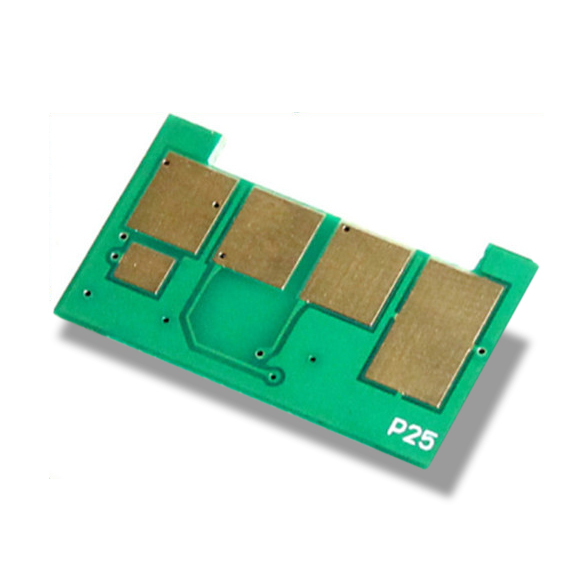 Chips also have a key-function when it comes to managing various printing devices in companies aiming to reduce the printing cost and increasing the service-level to the customer. (Managed Print Services – MPS). For this kind of MPS environments only Premium compatible toner with highly reliable working Chips can be used. Toner chips read levels by monitoring your cartridge’s droplet count, or the number of drum rotations during printing. 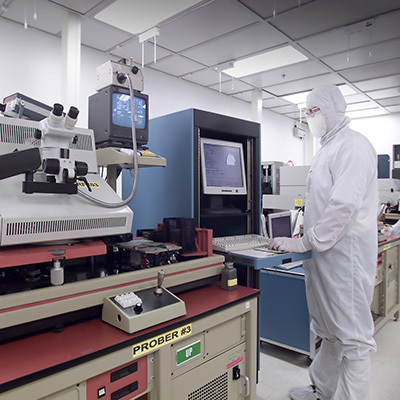 Chips are programmed for specific toner designs and yields, respectively filling-weights and will provide warnings and stop printing once a certain number of droplets have been used. Unfortunately, this means that toner cartridges that are refilled may still have some toner left inside if the chip isn’t reset and told that a cartridge was refilled. Toner chips have caused some controversy because they make it difficult to refill a printer cartridge. After you refill a cartridge, you have to reset or replace the chip in order for your printer to allow you to print. When replacing a spent cartridge with one from a third party, some smart chips will send users warnings that these cartridges will damage your printer. While there is little research evidence of damage, the chip will record that this message has been sent, which may void a manufacturer’s warranty. Depending on your printer model, smart chips in your toner cartridge may or may not be able to be reset. Some chips store toner levels permanently in memory and don’t allow this memory to be accessed. If this type of chip is in your toner, you will need to replace the chip when refilling your cartridge. 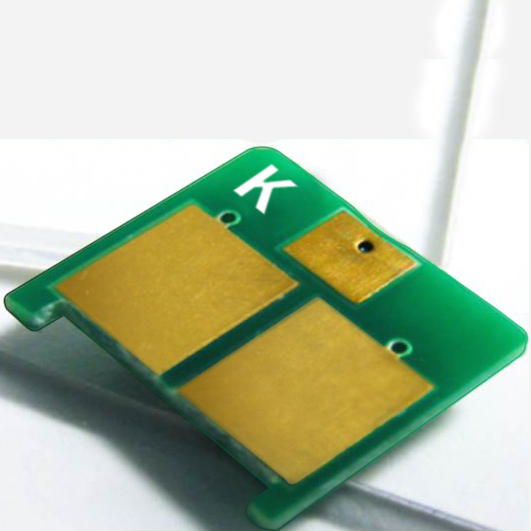 Other chips can be reset with a “Chip Resetter,” a small plastic tool that physically connects with the cartridge chip and programs the chip to return its count of spent droplets to zero. 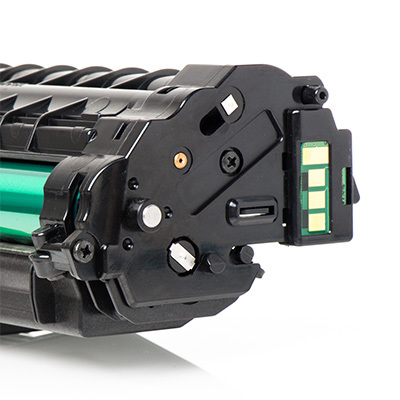 From time to time customers report issues with toner cartridges not being recognized by smart chips or with chips saying that their toner is empty when the cartridge still has droplets available. To avoid these problems, you should always switch-off your printing-device when doing any maintenance work or replacing cartridges. Bad connections or improper installations of new cartridges can also cause many of these errors. Reinstalling the cartridge and following your manufacturer’s instructions with the power off can resolve some issues.